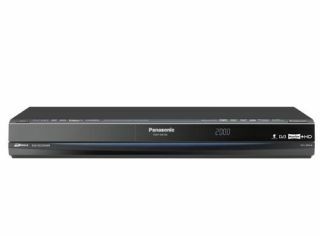 Panasonic has announced the arrival of its latest DVD recorder, which boasts Freeview+HD functionality. Called the DMR-XW380 – where do they get these snappy titles from? – the recorder packs twin HD tuners, 5.1 surround sound and it also comes equipped with a memory card slot. This is so you can port all your fancy photographs on to the system's hard drive, ready for playback on your TV. As for that hard drive, that's got a capacity of 250GB so plenty of room for hi-def goodness. Other features include Viera link and DLNA functionality. Having Viera Link on board means that you can watch videos on YouTube and check your stocks and shares, if you are that way inclined. And you can also playback AVCHD files – so anything you record on your HD camcorder can be played back. Price-wise, you are looking at £499.99. If you want to see how well the recorder works, then head over to T3 where they have a review.